Explore the world around you in a blink! 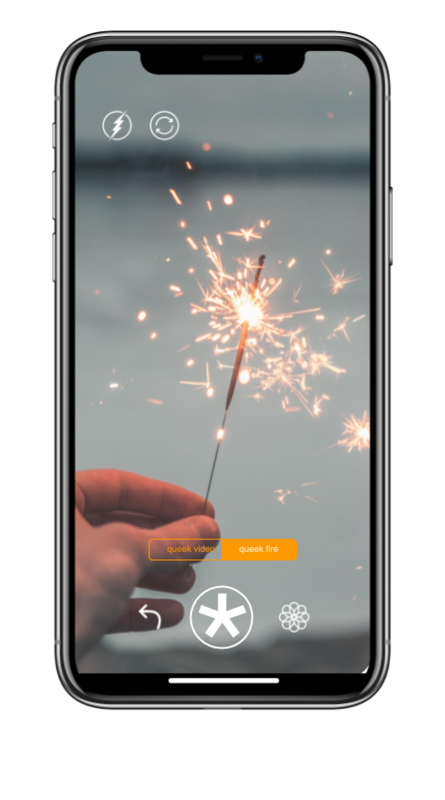 With *queeklee you can create and share 1 second video loops, called ‘queeks’, that are fun, geo-located, and easy to navigate. *queeklee brings back the fun, simplicity, and immediacy of social media! It's quick and easy! It can't be easier than that! Believe us, a lot can happen in 1 second! Swipe right or left. Every queek becomes an organic poll! You can sign-up for *queeklee using your Twitter or Facebook log-ins. First thing you see is a feed of queeks posted by your friends or people around you. Swipe left or right to access the next queek on your feed. It’s easy! Take a 1 second video and add 1 hashtag. Tap the asterisk to post. Download the iOS Beta now!